I'm here in Yosemite National Park in Yosemite, California, and Beth and I are doing some hiking. Earlier we passed a giant sequoia tree. Now back in the day, I mean you can just look and imagine how big this tree was. Throughout this whole park are these big giant sequoia trees, and they're absolutely amazing. They're magnificent to look at. As Beth and I were hiking, I thought, "boy, these things are so big. If they fell, think of the impact they would have." A long time ago I heard a quote and it goes like this; the bigger they are, the harder they fall. Now let me encourage you with something today: when you get serious about letting God work in your life, when you get serious about letting him work in relationships, and what you put your hands and your mind to. When you sense God calling you to a ministry, to a work, or to a project, you receive on your back a big target. The enemy, the devil, Satan, he will to keep you from that calling. He will try to keep you from that destiny, and he will try to get you to fall. Now listen, you may not view yourself as a giant sequoia, but let me tell you something, when God has called you to something, you are a giant. It doesn't matter if you live in small town USA. It doesn't matter if your ministry is just with these handful of kids. Maybe your business is a startup, maybe you have been teaching and you don't feel like you are succeeding. 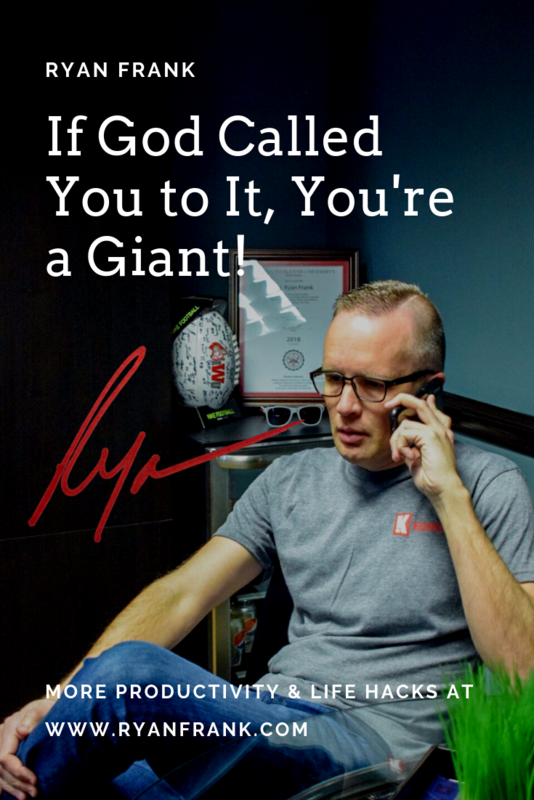 When you respond to God's call in your life, you're a giant. What I don't want for you, is I don't want you to fall. Now you may be asking how do you stay up? How do you stay true? There's a great verse in the scripture, and it says this. It says, "humble yourself in the sight of the Lord, and He will lift you up." One of the greatest things that will make you fall in your calling, is when you get proud, when you start feeling like all of this depends on you, which then breeds insecurity and doubt. When you stay humble before the Lord, He lifts you up. It's a promise. So stay humble. Embrace the calling that God has placed on your life. Stay in his words; stay in prayer. Surround yourself with people that believe in you, and that can support you. Like these sequoia trees all throughout this national park, I want you to stand. I want your legacy to live for years and years and years.